I did not know exactly where I was this morning. 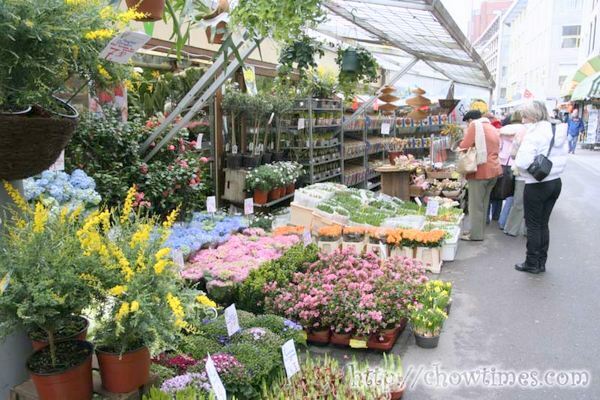 I was on a tram trying to get to the city centre when I spotted a bustling flower market. I thought I just spend a few minutes here to check out this place. It’s still early spring and so one could hardly see any tulips around. However, there were quite a lot of bulbs on sale — some of which are bigger than a fist. There were quite a few restaurants along the street where the flower market is. My only impression of a Dutch breakfast is the pannekoeken (or known as pannekoek in Canada). We had once tried these dutch pancakes in De Dutch here in BC. 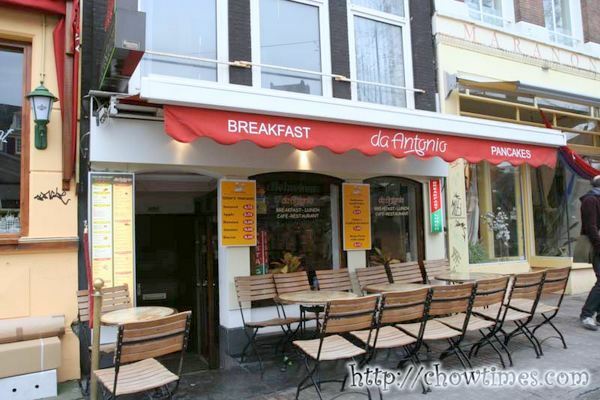 So I guess this is where I could get the real dutch breakfast. The interior is dim and cozy. It was early and I was their only customer. 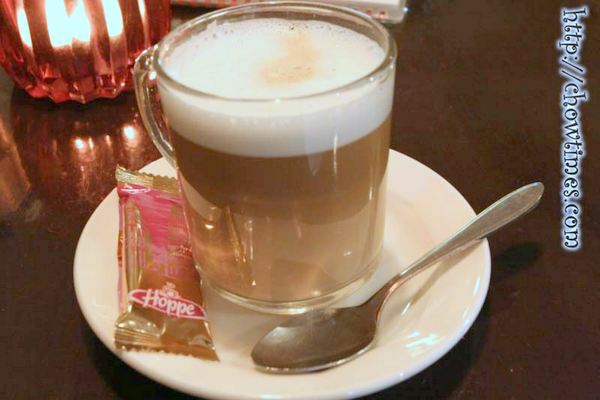 I ordered coffee as usual … always coffee with milk. And there’s the piece of cookie like they always give you with coffee in Europe. 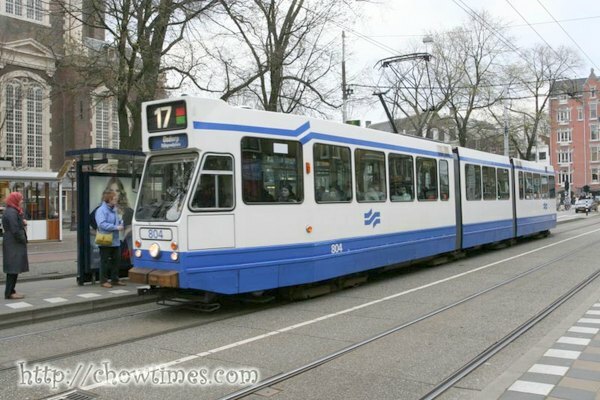 The best way to get around Amsterdam is by using the tram. I can never really understand the tram. It is slow and hogs the traffic. Still for some reason, it really works in Amsterdam for getting from point A to point B. It is long and articulated. I think this form of transport would be great for a city like Vancouver. Because it is long, one could actually get on and off the tram for almost any entrance. The tram drivers are some of the most helpful drivers I have come across. I enjoyed taking the tram. It’s because it’s on street level and I get to see where I am. And if I come across an interesting area, I just hop off. All stops were verbally announced and also displayed on board. My first stop in Amsterdam is to visit a windmill. I thought there are thousands of windmills peppered all around the landscape in Holland but I soon found out that they are now quite extinct. 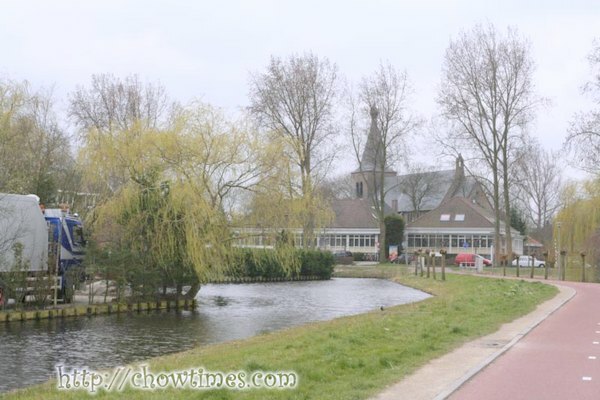 The only operating windmill in Amsterdam opened to the public is about 25 minutes outside the city centre by tram. It was a pleasant walk from the tram stop to the windmill. Amsterdam is such a beautiful city. Everyone takes pride in keeping their neighborhood clean. I woke up very early and tried to get the earliest train to Amsterdam. The Zuid/Midi station was pretty quiet at that time of the day. I had just spent two nights in Brussels. I like Brussels. It was not as exciting as London and Paris for sure. 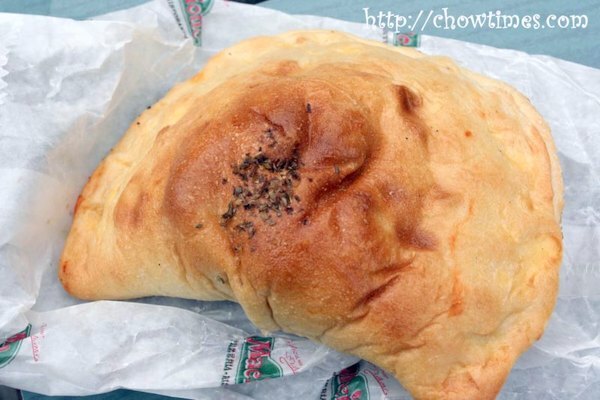 However, they have some of the best food around. The streets are safe and the people are helpful. Even in this station, I do feel safe even though it was so early. Many cities in Europe are linked by rail under the InterCity train service. 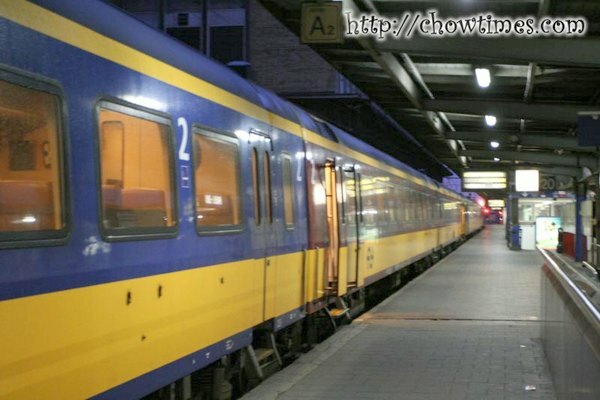 The InterCity train between Brussels and Amsterdam is not high-speed. Because of this, it took three hours to reach Amsterdam. 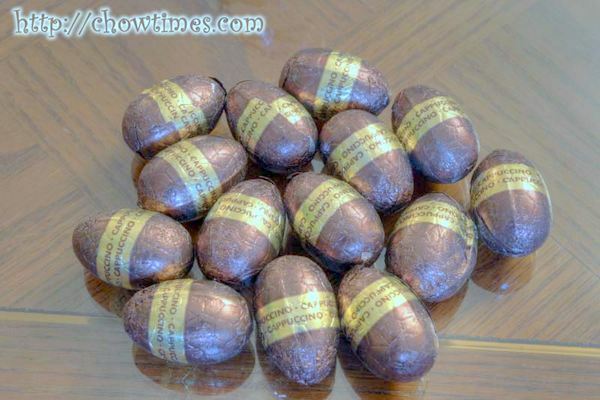 Believe it or not … the only chocolates that I bought was these chocolate eggs in Brussels. I did pop by some of the famous chocolatiers in Brussels but they were either too expensive and I simply had not room in my bag to carry a single box of them. Even these cheap chocolates which I bought from Hema was a class above other cheap chocolate eggs — definitely much creamier. But guess what … when I got home, WB and KC came by our home and dropped off a box of Belgian chocolates! Well … what do you know? 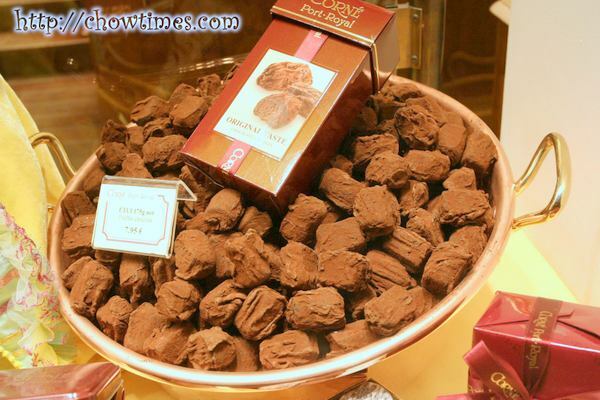 I can only name the following famous Belgian chocolate brands … Neuhaus, Godiva and Guylian. What are the other brands you know of? 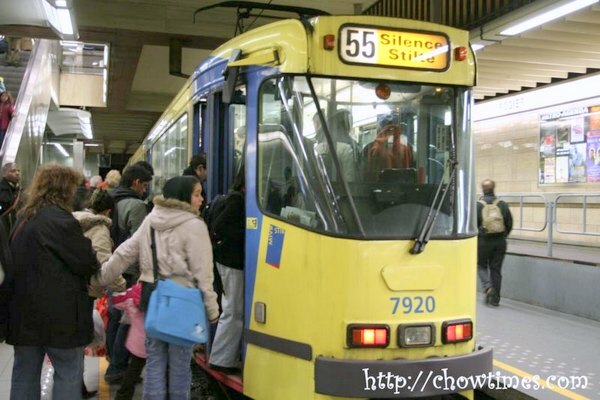 One of the form of transportation within Brussels is thru what is known as the Premetro. It is narrow tram operating in an underground railway track. 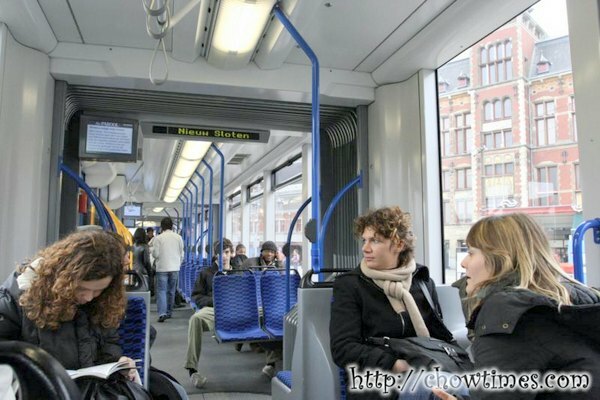 I find it so odd, the shape of the tram — it does not look like a good design for maximizing passenger load. It does actually feel like getting on a narrow bus that runs on underground tracks. Anyway, I was looking forward to trying a Belgian food called “stoemp avec saucissen”. 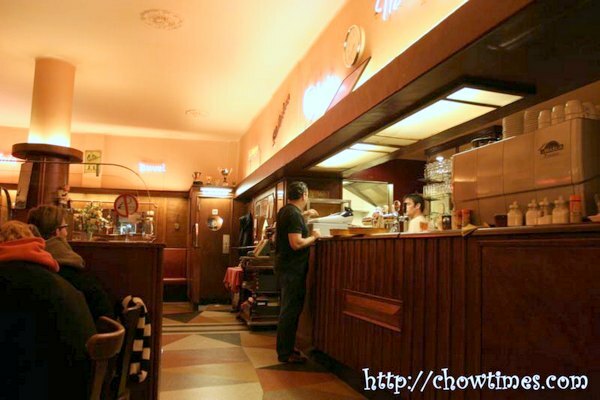 The guidebook recommended a family restaurant called the Platessen and that serves old-fashioned Belgian food like the way they make it at home. This family restaurant happens to lie in the middle of the gay neighborhood (“not that there is anything wrong with that”). I was determined to try stoemp that I went anyway. Oh yeah, there are a lot of guys on the streets and I kept my eyes to the pavement most of the time. I was afraid of the accidental eye contact … “not that there is anything wrong with that”. I looked around the restaurant for the tell-tale rainbow flag. Nope, none around. Oh, guess what … the waiter told me that they don’t serve Stoemp that night. Shoot! Since it was quite late already and I had no Plan B for dinner, I decided to stay on. Sometimes one can know the character of a city just by observing the people going about doing their business. I can relate to a city like Brussels. This city is well maintain, clean, graffiti free and have very little vagrants. The subway felt bright and safe. 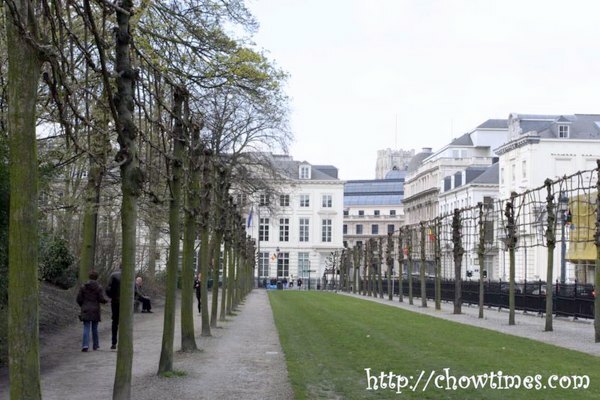 I stumbled on the Parc du Bruxelles while trying to look for the Unknown Soldier Panorama. I must have made a wrong turn somewhere and came upon this place. I enjoyed this park. In a cold early spring weather, there are quite a lot of people running during their lunch break. It reminds me a lot of Vancouver where when the weather is good, people do don their running gears and go for a run. In every European city, there is a cathedral at the center of the city. 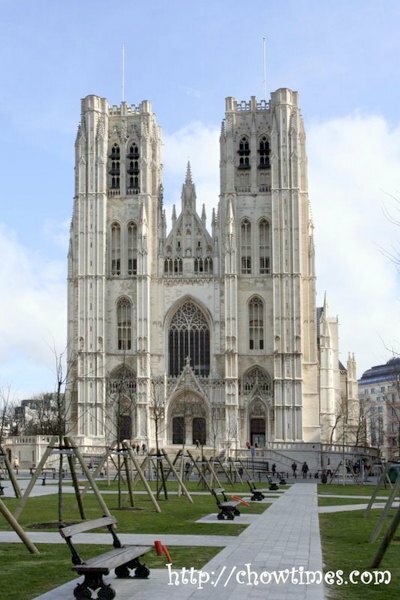 Brussel’s cathedral is called the St Michael and Gudula Cathedral. I had seen enough of churches already and gave this a miss. 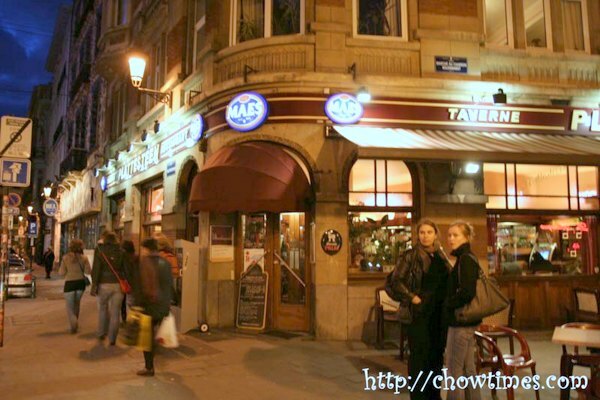 Brussels is a compact city. 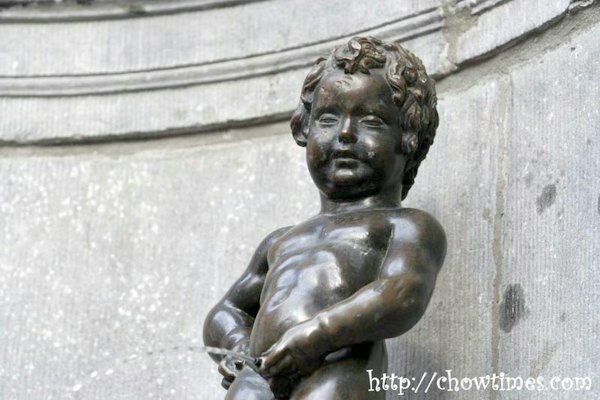 I came across the Manneken Pis again. Since there are better light this time, I took out my long lens and managed to get a closer shot of the famous sculpture. Sometimes they do dress up the Manneken Pis in costumes but not this time. 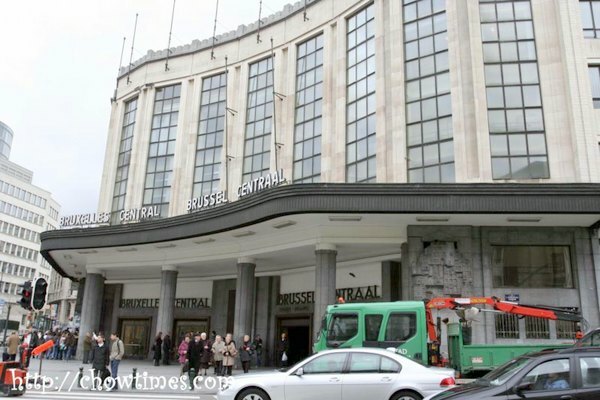 I went to Brussel Centraal railway station to catch a train to Heysel Park. I was still hungry after that little breakfast of Waffle. 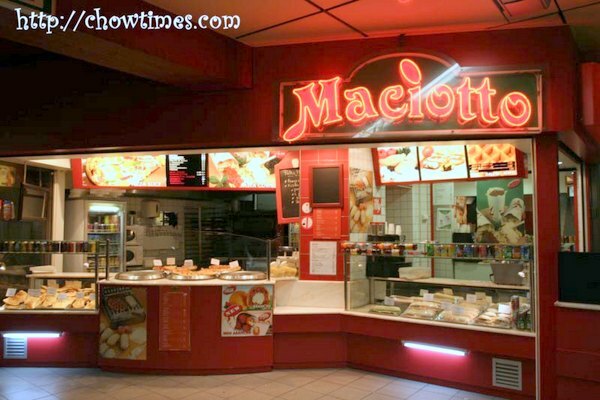 I stopped at a food stall at the train station called Maciotto. I had seen Maciotto in several stations before and thought I should check this out. They sell traditional Italian snacks. Since I thought that there would be nothing much for lunch at the Atomium, I got myself a snack as brunch. I got something called the Diavoletto Pollo (I think the word diavoletto means devil in Italian). This 3 Euros snack contains tomato, chicken and olives. Anyone can tell me more about Diavoletto? I had never come across this before. Woke up extra early today. I think I have adjusted to the time zone and all the walking the past one week. I must have walked at least 10 kilometers every day since I started from London. Also, I have stopped noticing how heavy my backpack had been. Oh … I am beginning to feel homesick! I thought I start off the day in the Grand Place and have a look at it under dry weather. I was pretty sure there are some places that I can have breakfast around the area. 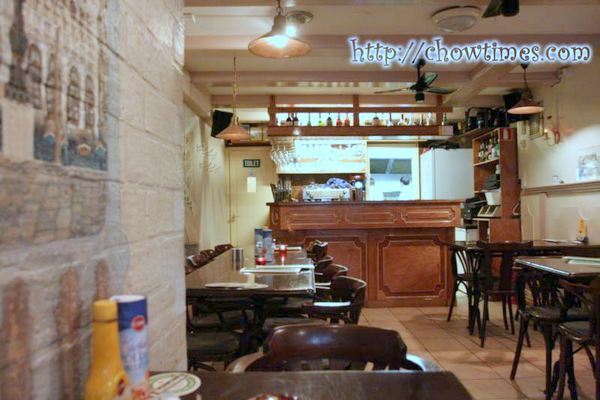 I found this place just off the Grand Place for breakfast. What do Belgians normally have for breakfast? 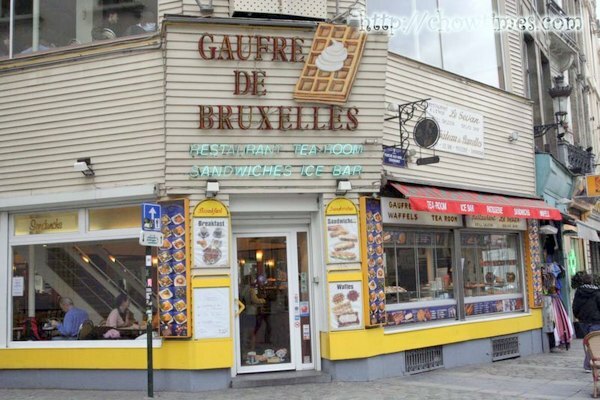 My impression is that Belgian breakfasts consists of waffle. Oh well … waffles sounds OK for me. Let’s see … ah … Belgium is famous for it laces. I don’t care much for laces but they look very nice. I bet Suanne would love to have one of the nice lacy blouses. Know how much they cost? 150 Euros! Gosh! BTW, one need to be careful these days buying these lacey products … many of them are manufactured in China … caveat emptor. Of course, the other famous product from Belgian is, what else, Belgian Chocolates. There are so many chocolate stores here. 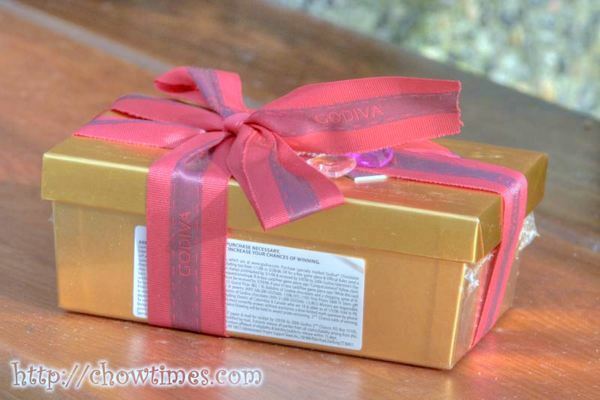 Some of the names I could recognize were Guylian, Godiva, and Neuhaus but they are so many others. 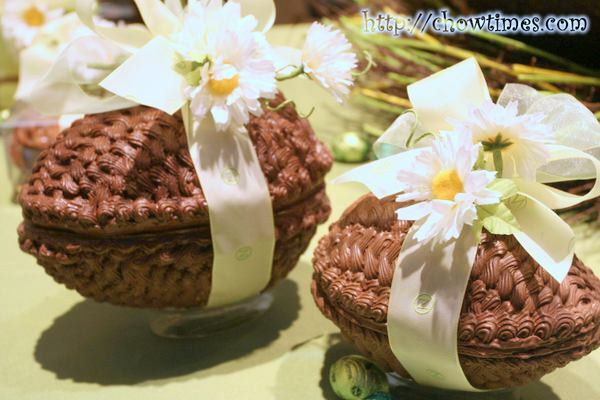 Most of the chocs are so expensive … and some are so pretty that I will not be able to force myself to eat them. There are also Chocolate Truffles. That little box costs about 9 Euros … $12USD / $14CAD. I hardly spent a few minutes in the hotel room. The sky is getting dark and I wanted to at least spend sometime getting to the centre of Brussels. So, I dropped my bags, had a quick clean-up and headed out immediately. I am so glad for this room because compared to the dump in Paris this is much comfortable. 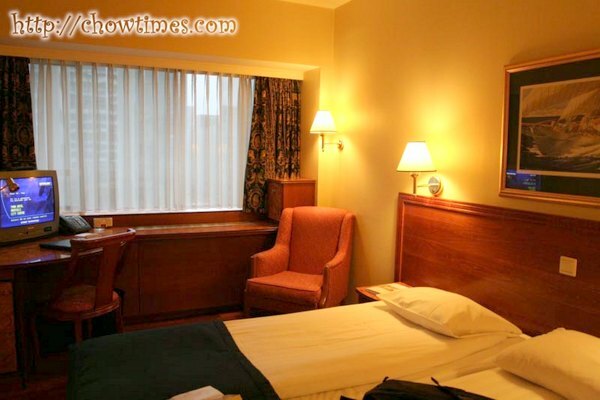 I got a good deal from Orbitz which is only USD$60 per night. The Brussels downtown core is so compact. You could walk to most places of interest. 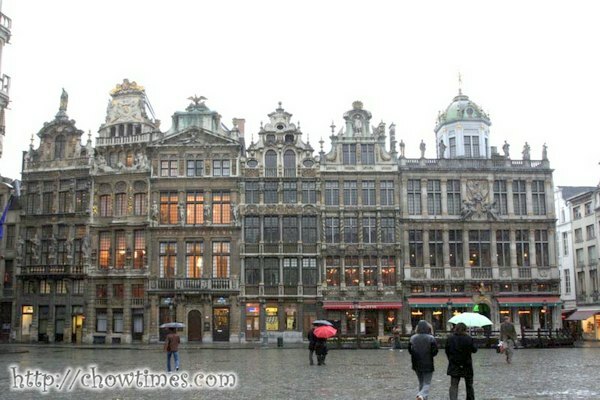 I read a lot about the Grand Place which is a central market square. 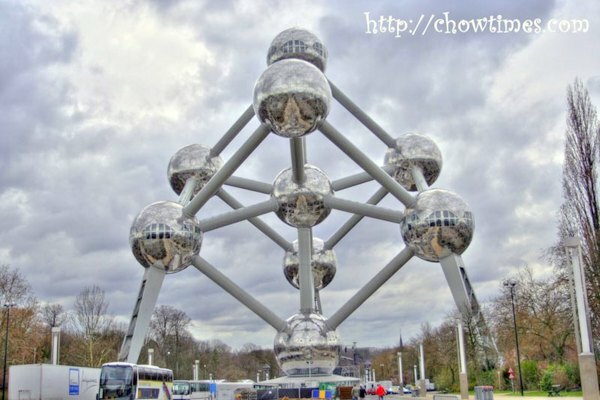 This is the most visited tourist site in Brussels. The square is surrounded on all sides by grand buildings. 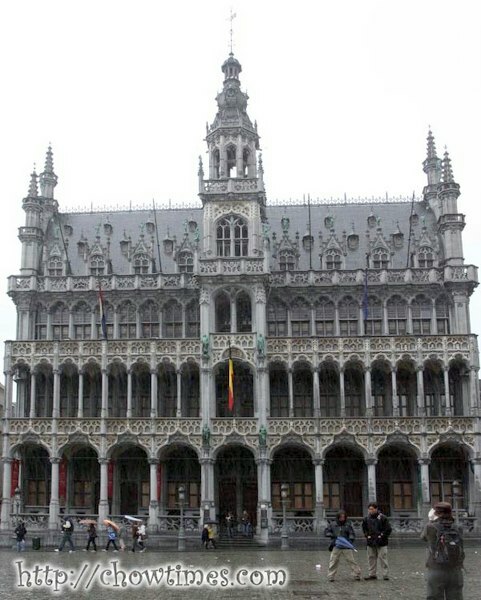 The Gothic style City Hall, below, is 600 years old. 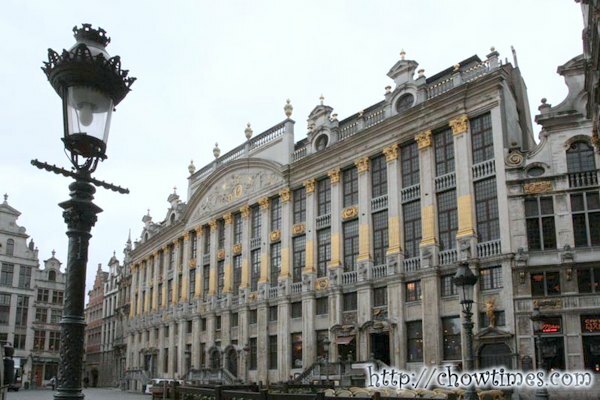 UNESCO had declared the Grand Place as a World Heritage Site. 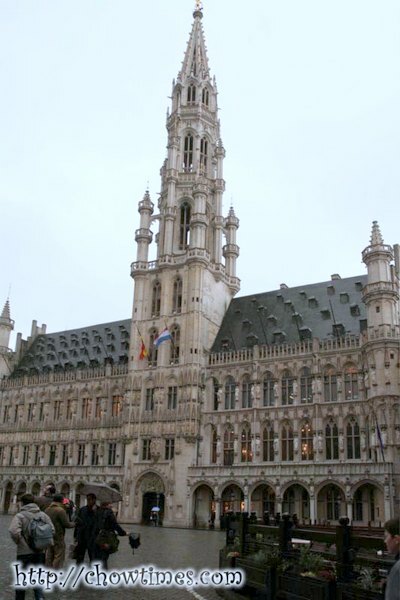 The City Museum, located right across from the City Hall, is dedicate to the history of Brussels. There is a room that contains all the costume of the Manneken Pis.